“I saw angels hurrying to and fro in heaven, descending to the earth, and again ascending to heaven, preparing for the fulfillment of some important event. Then I saw another mighty angel commissioned to descend to the earth, to unite his voice with the third angel, and give power and force to his message. Great power and glory were imparted to the angel, and as he descended, the earth was lightened with his glory. The light which attended this angel penetrated everywhere, as he cried mightily, with a strong voice, “Babylon the great is fallen, is fallen, and is become the habitation of devils, and the hold of every foul spirit, and a cage of every unclean and hateful bird.” The message of the fall of Babylon, as given by the second angel, is repeated, with the additional mention of the corruptions which have been entering the churches since 1844. Let’s look at some Inspired references to gain more light on the powerful and full of glory angel message. There are several references that indicate what the fourth angel message is. Granted we don’t have the full understanding but we have a good solid idea. Starting with the above SOP reference. we see that this angel unites with the third angel. In other words this message in closely associated with that of the third angel message, which is basically a warning not to worship the Beast and his image (Rev. 14:9-11). After what things? — After the scarlet-colored beast comes into being and while the woman, Babylon, is sitting upon him. It is then that the earth is to be lightened with the glory of the angel, with the message of the hour. So we see that the 144,000 shall deliver the message with great power and fearlessly. We also see that this great final powerful message, which joins the third angel’s message is AFTER the church purification. So not only do we have the beginning time period of the fourth angel’s message but we notice that the end of it is when all God’s people have been called out of Babylon and placed into the kingdom “home”. Once again we notice the timing of the fourth angel is the –Loud Cry period. Below is a handy chart showing the Revelation chapter time periods. Again, we see that Rev. 18 fourth angel’s message begins in concurrence with the “time of trouble”, which can only start once the tares are removed from the church. Such a pure church will enrage Satan (Rev. 12: 15-17), thus the time of trouble comes upon the world. “Flood” is the same as “water”, which means people (in the church) unconverted, whom Satan is using to cause the church to be carried away in a very quiet manner, so that no one would be suspicious of the great deception. In this way he attempts to deceive the very elect (144,000) if it were possible. Being impossible, Christ Himself interposes and delivers His people (those who sigh and cry for all the abominations in the church) and then makes an example of the others. The separation will mark the beginning of the harvest, which is the Loud Cry of the third angel’s message. Rev. 18:1. The Spirit of God is poured upon His people (those who escape the ruin), and the promise is, that it shall never depart from them. Isa. 59:21, “As for Me, this is My covenant with them, saith the Lord; My spirit that is upon thee, and My words which I have put in thy mouth, shall not depart out of thy mouth, nor out of the mouth of thy seed, nor out of the mouth of thy seed’s seed, saith the Lord, from henceforth and forever.” Read “Isaiah the Gospel Prophet,” Volume 3, pages 43-49. This subject of the fourth angel’s message is deep and far-reaching and we’ve only touched a bit on it. Hopefully we’ll do further posts expanding more on this “great and glorious” message. Our Lord was exasperated with the lack of faith around him. But how about those who show great faith and put it in practice? We remember one of the greatest examples of pure unadulterated faith exhibited by the Centurion. Blessed by the goodness of God! I lost my wallet today on a bike ride to the store. When I got home I immediately knew that it was not in my pocket. I got on my bike and followed the way back to the store. No wallet. I went inside the store and asked customer service. No wallet. I left my name and tele # with them. Then I rode back the same way. No wallet. When I got home, Elba and I had prayer that it might be returned. I then cancelled my debit card which thankfully was the only card that I had. We both had faith that it would be found and returned. Later on I called the store to check in and see. No wallet. We had some family over for Thanksgiving dinner this evening. My faith was still encouraged, even though it had been several hours by now. After the family time was over and everybody went home, I had began to think that it was not going to be found. I wrote down on my desk that I needed to contact the DMV, bus pass, and store discount card. Then we sat down to watch a movie. It was 9 pm. The doorbell rings. There stands two guys and a lady. I immediately knew what it was all about. They brought my wallet to the door. A mom and her two sons who were older. Wow! The mom’s husband found it on the sidewalk about a block away. He was unable to come. I didn’t hesitate to offer them a check. They all absolutely refused. I offered a couple of times, still they said no way. We praised God for them and gave them many thanks. We said, “God answers prayer”. They agreed. Although tempted to forego his faith, he still had faith in the power of the Lord to answer prayer, for he had lost his wallet two other times and each time, prayed and it has been done unto him. We notice that he and his wife did the most important thing, they took the matter to the Lord in prayer right away. So often we sadly forget to call upon the Lord in these situations, whether big or small, important or not so important. But here is what really made us think. Brother R, his wife and myself all think it was no ordinary humans who found and then delivered this wallet, we believe it was–angels! Brother R relayed to me when we discussed this situation that there was something unique and wonderful about the “mom and her two sons”. For they smiled very warmly and presented themselves in, well let’s just say an “angelic way”. The above link post experience reminded me of a prior similar experience. Looking back, I truly believe it was angels who sat down with me for that dinner. Angels probably take a much more active role in the Christian experience than we realize. We remember Lot having that memorable meeting with the two men who were angels. In closing, our walk is built upon “the basics” and those are –love, faith, and obedience. When we learn to trust the Lord, He will certainly reward our faith if it is according to His purpose. The 4th Angel’s message –Dangerous or Wonderful? For those who are advanced students of the unrolling scroll, we know that the “4th Angel’s message” is truly our present truth. Far too many of us Adventists do not know much about this message nor , sadly care. Yet nevertheless God’s word tells us we are to be aware and up to date in this message that shall give “power and force” to the Third Angel’s message. “There is to be in the churches a wonderful manifestation of the power of God, but it will not move upon those who have not humbled themselves before the Lord, and opened the door of the heart by confession and repentance. In the manifestation of that power which lightens the earth with the glory of God, they will see only something which in their blindness they think dangerous, something which will arouse their fears, and they will brace themselves to resist it. We see that something special from God is to “move upon” our churches yet those who do not humble themselves will not be moved. Obviously the Lord is telling us that the power which is to lighten the earth with the glory of God–will be rejected by the ones unwilling to humble themselves before the Lord. This manifestation of God’s power which illuminates the earth is a “work” being done. Let us not forget that these words spoken by our prophetess came on Dec. 23, 1890 and under the headline “An Appeal to Our Churches”. This was a direct appeal to us ,not the world. We as Adventists know, or should know all about the “Three Angel’s messages”, yet we should also know about the Fourth Angel’s message. The very one SOP speaks about in the above references. But unfortunately few of us truly know about this last message to our churches, which shall also go to the world in the time of the Loud Cry. The fact that it is lighten the whole earth means that it will be glorious and full of God’s power to move the honest of heart from Babylon into His kingdom. How can men (and women) turn this all around and see/understand this message and It’s Truth? When men who handle sacred things will humble themselves under the mighty hand of God, the Lord will lift them up. He will make them men of discernment—men rich in the grace of his Spirit. Inspiration is telling us that this very last message which soon shall swell into the Loud Cry is first given to us (right now) and we must make a decided effort to hear it and respond. Unlike today within our church , many people of the world will see this very Rod message that we now scorn and think it’s wonderful and powerful. Yes they will fully embrace it and they will be known as the “Great Multitude” (Rev. 7:9). Yes hindering indeed! They condemn that which they do not even know much about! They declare it “dangerous”. May God help these blind and prideful Laodiceans. “I asked the meaning of the shaking I had seen, and was shown that it would be caused by the straight testimony called forth by the counsel of the True Witness to the Laodiceans. This will have its effect upon the heart of the receiver, and will lead him to exalt the standard and pour forth the straight truth. Some will not bear this straight testimony. They will rise up against it, and this will cause a shaking among God’s people. Once again Inspiration goes to great lengths to point out a rejection of the counsel from the “True Witness” by us, the Laodiceans. This shaking we are now experiencing, especially those in the “spiritual fight”. The “church destiny” hangs upon this “lightly esteemed” message. Just a few days ago on the Sabbath, some regular church goers gathered at the local S.D.A. church in Rwanda for services. Tragedy struck and lightning crashed through the building and 16 people were killed. “Fourteen victims were killed on the spot as lightning hit the church in the Nyaruguru District in the Southern Province on Saturday, local mayor Habitegeko Francois told AFP over the phone. Two others died later from their injuries, he said. Doctors say that only three of them are in critical condition but they are getting better. Very tragic indeed! But some may be perplexed. Why did God do this or allow it? Many Seventh-day Adventists are most likely pondering these difficult questions. Yes, Judgment will soon come to us Seventh-day Adventists first. And that judgment is described through out Scripture, SOP and the Lord’s Rod (Micah 6:9). As most of us are well aware, particularity if you are a present truth believer, this strike from God will be on a world-wide scale. 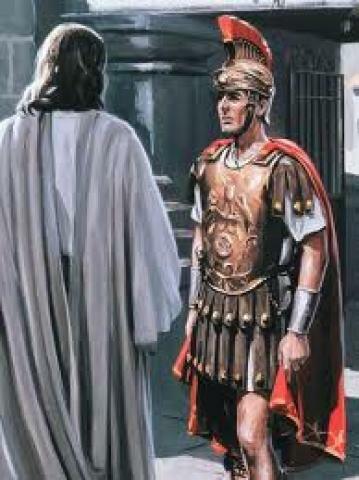 Isaiah saw our Lord and King coming back from our church judgment, His apparel red. This is also spoken of in Rev. 14:14-16. In describing this judgment to first come upon the S.D.A Church we read from SOP. “The class who do not feel grieved over their own spiritual declension, nor mourn over the sins of others, will be left without the seal of God. The Lord commissions His messengers, the men with slaughtering weapons in their hands: “Go ye after him through the city, and smite: let not your eye spare, neither have ye pity: slay utterly old and young, both maids, and little children, and women: but come not near any man upon whom is the mark; and begin at My sanctuary. Then they began at the ancient men which were before the house. Here we see that the church–the Lord’s sanctuary–was the first to feel the stroke of the wrath of God. The ancient men, those to whom God had given great light and who had stood as guardians of the spiritual interests of the people, had betrayed their trust. They had taken the position that we need not look for miracles and the marked manifestation of God’s power as in former days. Times have changed. In closing what we saw in Rwanda, sadly, is a small prelude what is prophesied to come upon our church, let us be sure of our salvation and believe our present truth road map for today lest we receive the same fate. “Plowshares into Swords” or “Swords into Plowshares”? As with all Scripture, there is deep truth here and as students of His word, we should delve into this and find the intended meaning of it all. We know one thing, the two different meanings although seemingly contradictory –are not. There is a reason why the Lord shows two opposite statements. Each are balanced in their context. These scriptures reveal two classes of people. One class shall flow into the church by great groups: Kings, and great army leaders who have been building destroying weapons and preparing for war. Now the gospel has conquered them. 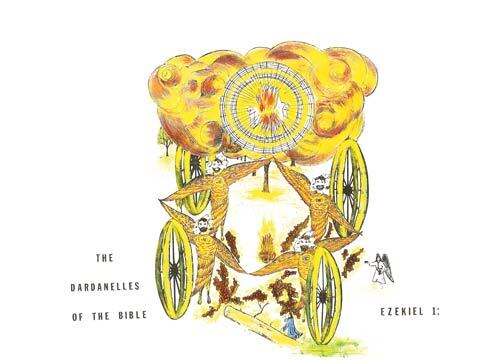 While they are joining the church they gather their war implements, beating them into plowshares and pruninghooks. “Violence shall no more be heard in thy land, wasting nor destruction within thy borders; but thou shalt call thy walls Salvation, and thy gates Praise.” Isa. 60:18. According to Micah, the only nations that are to disarm are those that accept the Lord’s Truth for today and go to the Promised Land. Never again will they need either swords or spears. “And He shall judge among the nations, and shall rebuke many people: and they shall beat their swords into plowshares, and their spears into pruning hooks: nation shall not lift up sword against nation, neither shall they learn war any more.” Isa. 2:2-4. The law is to go forth when the mountain (Kingdom) of the Lord’s house is established on the top of the mountains (kingdoms), and when It is exalted above the hills. Then the “light” shall cause the rebuked nations to flow to the mountain of the Lord. So we see that there is to be two distinct type of people –those who follow the Lord and trust in His strength and those who don’t. The Great Controversy indeed! This is what will be so great about the Lord, He will make it very simple for the people all over the world to choose life. Right now there is a counterfeit gospel being proclaimed with truth and error mixed but as soon as the Loud Cry headquarters is established in the promised land–Israel, the powerful Truth will be proclaimed around the world and all will have their chance to either make– swords into plowshares or plowshares into swords. Let’s face it, nicotine is one powerful substance. I have personally seen its devastating work. My Mother passed away at age 72 from emphysema due to smoking for 50+ years. My Grandfather had a large portion of his jaw removed when he was 68 due to cancer after being a long time pipe smoker. But there is a plan which, if followed and believed can defeat this very addictive substance. It is God’s proven plan. Let us read. These Scriptures show us the powerful effect our King had with the devil. And what method did the Lord use? Scripture! We see that Satan came at Jesus and when tempted our Lord rebuked him , not with subtle arguments or persuasive words, but with a “thus sayeth the Lord”. Recently during my work travels I received a call from “Gary” a former church friend of mine, whom I had not seen for a good 3 years. He is a member of the prior church I belonged to. We chatted for a bit, then he said he needed some help with his refrigerator. We made plans for the service call the following day. So I showed up at the appointed time and went in to see his refrigerator. Sure enough, it was a solvable problem (bad freezer fan) and I proceeded to do the repair. While working on it I was able to chat with Gary. Soon we discussed church. But as we spoke the Spirit indicated to me that Gary was not ready yet for some deeper present truth studies. He was to be reached at his level. As we talked it clicked. So I told him about how there is so much sin in our church, poor dressing, poor eating, socializing among our members instead of studying and testifying of God’s power and work. He agreed and said that the church was turning into a “country club.” Then I was moved to tell him how I overcame some of my worldly ways such as drinking, chewing tobacco, poker, etc. Then Gary told of his “current” bad habit–smoking. He admitted he was not an over-comer and really needed to stop this bad habit. Bingo! The plan came. I told Gary about the “quote Scripture plan”. He was all ears. This effectively chases away the devil/temptation. He will come back again, but you will quote and rebuke him again. A tampering off should be achieved as the month goes by. Gary liked the plan. He said he would try it. I encouraged him and told him that he must believe each time he quotes God’s word and not doubt. A few days ago I got a text from Gary saying he’s successful so far. We praised the Lord and told him not to give up, keep going until you have no more desire and the devil has left for good. There is no disagreement among the world’s medical leaders that nicotine is one of the most addictive substances on the planet. Only Heroin and Cocaine ranked higher in addictiveness. So of all the “legal” substances one can use, it is nicotine that has the highest addiction among the world’s population. About 1.1 billion people — one in every three adults — are smokers, according to the World Health Organization. And yours truly is a witness to the powerful effect of nicotine. One of the best testimonies one can give is that of a personal testimony. So I would like to give my own testimony about the quote Scripture plan. Back in early 2009 I came upon the Bible truth that the Sabbath of the Lord was real, this was new to me being raised a Catholic. I soon came into the Seventh-day Adventist church and was baptized in mid 2009. But as I began my SDA membership and church attendance, I carried into it a few bad habits, chewing tobacco being one of them. In fact I remember at least a couple of times going to church with some tobacco in my cheek. Let me briefly regress to the past. This bad habit actually started back in my late teens when , as a bat boy for the San Diego Padres national baseball team. The players often would have a big load of “chew” in their mouth and spit it out often on the field. One day I decided I would try it. BIG mistake! I almost immediately began to get dizzy and felt like vomiting. The natural body defenses warned me–bad stuff! But I soon tried it again and it gave a strange feeling of exhilaration. You see nicotine raises the blood sugar and one gets a feeling of being “high” , the degree of this depends on the amount and the length of the chew. The more one chews, though, the more one gets used to it and it becomes an addiction. But fortunately after those Padre years, I left the bad habit for a long time. But in my early 40’s I began to chew on cigars. Having asthma I did not want to inhale smoke, so I found chewing on the cigar released the nicotine and gave me the “buzz” I liked. Ok, I have digressed to show you how the habit came let’s get back to the story. But as we all should know the process of sanctification is a process not a one time event or immediate occurrence. The key is that we should want to keep drawing closer to Christ, we should want to “chop away” at our sins, much as a tree remover keeps chopping away at the stump to bring it down. We keep choppin til we bring down our sins (eliminate them) until the sins we do are mostly unconscious or without deliberateness. So as I continued my walk the Lord was telling me to straighten up with this bad habit. So I came across the Scripture where Jesus , our perfect example, fought temptation. It was in the desert where Satan tempted Him. But how the Lord handled it was with–Scripture! I figured if it was good enough for our King, it’s good enough for me. Armed with this idea, I decided to use it to overcome my tobacco habit. That first day I quoted ” The Lord is my shepherd I shall not want” (Psalms 23:1). I used this because of two reasons. One, it was my mother’s favorite Bible verse. Two, it had in the words “I shall not want” meaning not wanting tobacco. This was quoted alot that first day, as the devil came again and again to tempt me to partake in this habit, which off and on I had done for a good 15 years or so. In other words, the devil had me just where he wanted me–hooked and bound by his chain called tobacco. But I trusted in Christ, through His Holy Spirit, and His –word. This is key my brothers and sisters, we MUST believe in order for Christ to work in our life. I believed that with Christ’s word and it put into action —it would work! As the days went on I kept quoting the Scripture with the very important devil rebuke added– “Be gone from me devil in the name of Jesus Christ!” This was the plan and I followed it day after day. Soon it was tampering off and by the third week I was down to quoting it maybe 2 or 3 times a day. Finally by the 4th week the devil left for good! To this day I have never went back to this evil habit and all praise and honor to Him who made it possible. By all means tell your friends and family if you should know of anyone who needs help with an addiction. The Lord’s word is powerful if you believe. Many of us as Seventh-day Adventists are aware of the prayers we make during our Sabbath service. For the most part, with the exception of the “garden of prayer” portion of the service, we all stand when we are led by the speaker to ask for payers. But what does our Biblical history through Scriptures show? One of the ways we can imitate God is through the prayer actions of our Lord and His prophets. “And when he came to the place, he said to them, “Pray that you may not enter into temptation.”And he withdrew from them about a stone’s throw, and knelt down and prayed,..”(Luke 22:40-41). Now, to be clear, there is no command in the Scriptures to bow down on our knees to pray. Yet if we truly want to show honor and respect we can know that this act of holy reverence can only be pleasing to our Lord. Many of us are well familiar with the holy 10 Commandments, but how many of us spend time thinking of “fearing the Lord”? This means ways we can show holy reverence and deep respect for His awesome power and might. Daniel was a man who was highly favored of the Lord. One of the keys no doubt was his holy reverence in “kneeling” three times a day in prayer to the Lord. Are we to aspire to such elevated heights to please the ONE whom is worthy? We should be at least trying. “I have received letters questioning me in regard to the proper attitude to be taken by a person offering prayer to the Sovereign of the universe. Where have our brethren obtained the idea that they should stand upon their feet when praying to God? One who has been educated for about five years in Battle Creek was asked to lead in prayer before Sister White should speak to the people. “We are living in perilous times. Seventh-day Adventists are professedly the commandment-keeping people of God; but they are losing their devotional spirit. This spirit of reverence for God teaches men how to approach their Maker–with sacredness and awe through faith, not in themselves, but in a Mediator. Thus man is kept fast, under whatever circumstances he is placed. Man must come on bended knee, as a subject of grace, a suppliant at the footstool of mercy. And as he receives daily mercies at the hand of God, he is ever to cherish gratitude in his heart, and give expression to it in the words of thanksgiving and praise for these unmerited favours. “O come, let us worship and bow down: let us kneel before the Lord our Maker”(Psalms 95:6). One of the certain times we should kneel and pray is when the pastor or speaker comes up to preach the sermon. “When the minister enters, it should be with dignified, solemn mien. He should bow down in silent prayer as soon as he steps into the pulpit, and earnestly ask help of God. What an impression this will make! There will be solemnity and awe upon the people. Their minister is communing with God; he is committing himself to God before he dares to stand before the people. Solemnity rests upon all, and angels 493 of God are brought very near. Every one of the congregation, also, who fears God should with bowed head unite in silent prayer with him that God may grace the meeting with His presence and give power to His truth proclaimed from human lips. To summarize, this issue really is a “search your heart” issue and the Lord is leaving it up to us to know our reverence. 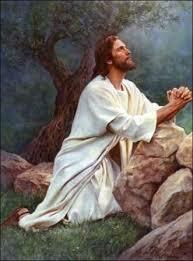 Many times we pray but may be driving in the car or at another place where kneeling is not possible or inappropriate. But when it is, our first and best action is to kneel before the MOST HIGH and offer up our petitions. After all our great leaders of the past did it and the KING Himself did it. Here we see that Jesus gives us a lesson in persistence. A trait that surely is a God send to those who use it. And again in Luke, Jesus also tells the story of the persistent widow of Luke 18:1-8, who continues to ask the judge for justice and relief, and finally he hears her and grants what she wishes for. Let us look at this desirable trait and what comes from it should we heed our Lord’s lesson. Through out history, there are legions of stories of the faithful man, who falls in love with the woman of his life, yet she does not initially reciprocate. He gets rebuffed time and again, yet does not give up! Finally after much sweat and tears, he successfully engages the dream girl of his life. What was one of the things that won her heart? No doubt–persistence. Or how about the many stories of the Billionaire, who had to file bankruptcy once even maybe twice before he made all those billions. Again, persistence is the main ingredient. So if persistence is often very important for success in worldly endeavors, how much more will it be for the eternal spiritual life? Let us look at a couple specific examples. Recently I have become friends with a brother in the faith, let’s call brother B. He is a SDA who seems to genuinely love the Lord, possessing a Burean spirit. During our conversations, I found out that he has been working Sabbaths in his line of work. This to me was a serious concern. As many of you know we have posted several posts concerning the keeping of the Sabbath, and specifically the dire results that will occur to those who haphazardly keep it. The Numbers 16:32 story should be all the proof we need to know, the Lord does not take this issue lightly. I had known him at least 3 months prior to finding this out and had met with him in our weekly church studies at least 10 times. How I found out was I invited him to come to my home for a prophecy study. It was to be a Friday evening (Sabbath). he casually said “Sorry, but I am working Friday night.” Huh? I thought. So I began to find out a little more about his circumstances. So this bothered me and I found out that he had been doing this for quite some time. The next week, I determined to have a talk with him. I had just completed my “Bible study presentation room” and invited him to come over during the week. He said he would. Later he came over. As we sat down in the room, and after showing him the room and the certain equipment I had set up to present the studies in the future, I got down to business. I looked straight at him and told him he must start praying and pleading with the Lord to be released of this sinful burden. I told him that the Lord is done “winking” at sin. If it’s in our power to do something we must. We cannot carelessly sit back and think the Lord will accept our indiscretions. I said, “You must plead and pray constantly for the Lord to help you get out of this situation. He will help you but you must take the first step of serious pleading.” You see, brother B had become complacent. Careless and stupid is the right description, harsh yes, but exactly true. Where was brother B’s persistence in prayer and pleading? Where was his sorrow and disgust that he has to do such things Sabbath after Sabbath? It largely did not exist. But apparently God had used me to awake him. Four weeks later, at church service, he told me he had good news, that he got his schedule changed and no longer had to work Sabbath. “Praise the Lord”! I said. You see, brother B did not really need me to come along and tell him what the right thing to do is. All he needed to do is pray constantly, even with sweat upon the brow, that the Lord would help him to get out from this trap! Persistence and pleading, knocking at 12 midnight again and again upon the Lord’s door, and He will answer and give that which is right according to His will. But prayer without action can sometimes be mis-guided. I am reminded of an old Christian saying. There were two men in a small boat and it developed a hole in it out at sea. One man said to the other let us pray and God will save us. The other said “let us pray as we bucket the water out without delay.” In other words action in addition to prayer is often the right ingredients. Brother B should have become a persistent fellow just like that widow in the above parable. He should have continued to ask about a schedule change, inquiring often to let the boss know he meant business. in other words, a man on a mission to get right before God–THEN– wow what things would take place! Prayer and action–powerful! The next example comes from a sister we’ll call sister T. She’s a single mother and has been a long time SDA who has learned the Elijah message and has advanced in the light of God’s end time message. As she has continued her progress in knowing and walking in the advanced light, about a year ago she learned the real meaning of God’s prophecy in Malachi. How He made a promise that when one brings their Tithes and offerings in His real storehouse(s) He will fulfill His promise to send blessings so good, you’ll hardly believe it. But things did not go so well even after becoming a faithful giver, she experienced some rough times financially and otherwise. But she persistently continued to do her part in paying what was due God. She did not give up. She was believing His word. Then recently it was God’s time to “pay back” that which He promised. Recently she let me know that she is starting to receive much blessings in her new line of work. Things are starting to brighten up for her, and our watchful Lord is orchestrating it as only He can do. As we have learned, our faithful Lord responds to persistence. But He knew that we would, in these last days, become careless and stupid. In Rev. 3:19 our Lord said”..be zealous and repent.” What is zealous? Is not persistence one of the main ingredients of zealousness? In closing, if there is something desired and in line with our Lord’s will, let us remember this most wonderful trait–persistence. For by practicing this, in prayer and action, our Lord will “awake” even at the most late hour and give that which we desire according to His will. Just what does that mean–“Bound and loosed in heaven”? One of the most quoted and theorized quotes in the New Testament is Matthew 16:18-19. As many of us know, this is one of the foundational quotes that the Roman Catholic Church has used to establish its authority as “God’s true church”. The world’s most populated church, the Roman Catholic Church, believes that the above quotes applied strictly to Peter. The following is a quote that sums up their belief in those inspiring words. But is that really the Lord’s intention, in speaking those words? Could they have a deeper and a more profound meaning than we generally realize? There are three divine instructions of God that tell us what is needed for proper interpretations of Scripture. To be (1) “guided into all truth” by the “Spirit of Truth”(John 16:13) as we are (2) ” doing the Father’s will” (John 7:17). (3) “Knowing this first, that no prophecy of the scripture is of any private interpretation” (2 Peter 1:20). Jesus here declares that Peter is become the figure, the type, of all those who declare Divinely-revealed truths. To them, as to Peter, are given the keys of the Kingdom; that is, the promulgators of Inspired Truth are authorized to bind and to loose by the power of the Truth. That which they bind on earth is so recognized in heaven. Wow, notice what the underlying words say. The trust from the Lord is implicit and vast. He empowers His true servants to “bind and loose” on this earth, and then it’s likewise bound in heaven. In other words, what the servants declare, if they are according to his will, are backed up by the Lord of heaven. His servants are so in tune and one with Him that He knows they can be trusted! This is the ultimate trust–to be trusted by the King of the Universe to make decisions– that heaven will abide by. Let’s read of some historical examples of this “binding and loosing” given to His servants. Here is magnified the aforesaid truth. Peter’s binding or loosing on earth was acceptable in Heaven only when done by means of Divinely-revealed Truth. 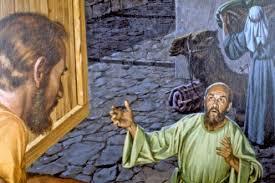 When speaking from his own impulses and sentiments, Peter was sharply rebuked, and told plainly that his suggestions were not the Truth, but were prompted by Satan. It is therefore plain that the followers of Christ may bind or loose only with the keys of Truth. They are to realize that Truth alone swings open the gates of Heaven. Finally, if we have Heaven’s Truth for the hour, as Peter had It in his day, we then have the keys of Heaven and can with It bind or loose — Truth’s decisions on earth are the decisions in Heaven. This verse implies that Peter’s concern was more for his own life than for the life of Jesus, for Peter knew that if Jesus were slain, then his own life would be in jeopardy. Hence Peter was told that if any man would follow Jesus, he, too, would voluntarily consent to carry his own cross if Truth so decrees. The Apostles, we are told, did this very thing, and were faithful unto death. 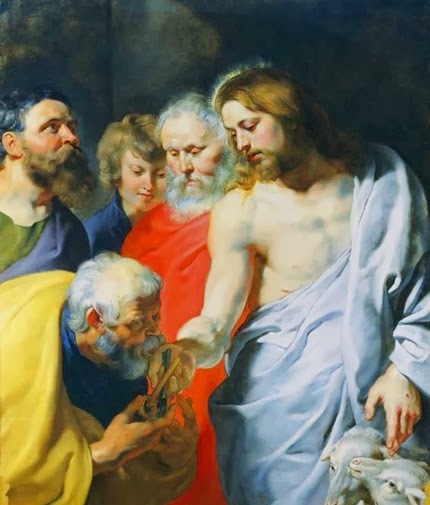 The followers of Christ are here told not to shun Truth’s decree though they be required to surrender their own life, for thus losing their lives they will be actually saving them for eternity — they will rise in the resurrection of the just. But for them to forsake Truth in order to appease the enemies of Truth, and thus save their temporal lives would eventually result in their dying the death from which there is no resurrection. It should be of interest to know whether the Apostle Peter was the first to be given the Keys of Heaven, or whether others had the Keys before him. Since Present Truth committed to an individual is the Keys of Heaven, and since the teaching of It binds and looses things on earth and is so sanctioned in Heaven, then others must have had the Keys before they were passed on to Peter, for the earth, the church, and Heaven-revealed Truth existed before Peter’s time. Take for example Noah. He declared that there was to be a flood, that everything outside of the ark which he was building would perish, and that everything that entered into it would live. Then the fact that Heaven sent the flood immediately after Noah preached of it is proof in itself that that which Noah bound on earth was bound in Heaven also. Peter, you, see, was not the first to be given the Keys of Heaven. After Noah, we shall see that the Keys were passed on to Abraham: since that which was to be bound or loosed on earth had to be bound or loosed in Heaven, the three messengers from heaven consulted Abraham concerning the destruction of Sodom and Gomorrah. It was then covenanted that if there be ten righteous persons in the city where Lot lived they should not destroy it. And so it was. Logically, after Abraham the Keys should have been passed on to Isaac: Isaac ruled that Jacob should receive the promised blessings even though by birthright they were to be Esau’s. And in spite of the fact that Jacob obtained the promised blessings by a fraud, Heaven still sanctioned that which Isaac bound on earth — Jacob became the progenitor of Christ. Thus it is that down through the line of Jacob came the Lord, and thus it is that Jacob’s descendants inherited the Promised Land. Having in possession the Keys of the Kingdom of Heaven, Jacob at the closing hours of his life decreed that Manasseh’s birthright should be given to Ephraim; to this Joseph protested by endeavoring to persuade his father to put his right hand on Manasseh’s head (Gen. 48:17-19), but what Jacob bound on earth was bound in Heaven, for years later, after the death of Solomon, the tribe of Ephraim, not of Manasseh, ruled the kingdom of Israel. We see, then, that what Jacob bound on earth was also bound in Heaven. Contemporaneously with Jacob, Joseph by interpretation of Pharaoh’s dream bound that there should be seven years of plenty, and seven years of famine. Thus it was that Joseph’s decree was carried out (bound) by Heaven. And Moses said, “If these men die the common death of all men, or if they be visited after the visitation of all men; then the Lord hath not sent me. But if the Lord make a new thing, and the earth open her mouth, and swallow them up, with all that appertain unto them, and they go down quick into the pit; then ye shall understand that these men have provoked the Lord.” Num. 16:29, 30. Moses’ decree was bound in Heaven, for “the earth opened her mouth, and swallowed them up, and their houses, and all the men that appertained unto Korah, and all their goods.” Num. 16:32. The Keys of Kingdom you see, passed along from one generation to another — from the Patriarchs to the Prophets, to the Apostles, and on down to our day. For instance, about three score years ago the founder of the Seventh-day Adventist Denomination declared that the General Conference was no longer Heaven’s highest authority on earth (General Conference Bulletin, 34th. Session, Vol. 4, Extra #1, April 3, 1901, pg. 25, Cols. 1 & 2). And thus it was that when the time arrived for the additional message (which gives power and force to the Third Angel’s Message — “Early Writings,” p. 277) to be proclaimed to the church, it came, not through the General Conference but through the laity. This is proof positive that the Keys with which Peter was invested are at work today. Another story is found in (2 Kings 4:6-37). An intriguing story of Elisha, the succeed-er of Elijah. He declared a wish for a woman , because of her great kindness to him. She begat a son from her very old husband after Elisha’s promise, then later Elisha resurrected this son. What a beautiful example of the keys from heaven bestowed on Elisha, God’s servant! So in closing, let us understand just what the Lord will do through His servants. The 144,000 will do His will and as such be given the keys from heaven “to bind or loose” on earth. Our only hope now, is that we prepare ourselves and walk daily in His straight and narrow path. The cost now is serious. If we have a spot (cherished sin) it must go. “The soul temple must not be defiled by any loose or unclean practice. Those whom I will acknowledge in the courts of heaven must be without spot or wrinkle” (Bible Commentary, vol. 7, p.969). The acknowledgement will include those keys aforementioned. In order to be among His faithful, we must forego all worldliness as much as possible. We must hate sin, plead with our brothers and sisters to know His truth, and love the Lord with all our hearts. Then the Lord will hold nothing back from us. There will be implicit trust between Heaven and His people, amen.